I am sure by this time many of you have heard of the credit card sized single board 35 dollar computer the raspberry pi. The one thing I am wondering is would it be possible through some method to run windows on the machine. The answer is a conditional yes. Using DosBox or Qemu emulators it's possible to install Windows, but it will be so painfully slow as to be useless for anything useful. You posted in another thread about how slow and problematic it was to run Windows under emulation on your Mac. On a Pi it will be much, much worse. There are a couple distros for the Raspberry Pi specifically for retro-gaming (Chameleon and Retro-Pi), but the Pi just doesn't have the horsepower to run a lot of emulators at full speed. Better to grab a curbside Windows box for both native gaming and emulators. The title of your posting intrigued me. pi running native OS. Absolutely! There are a few examples of small user created "operating systems" running "native" on the pi. As, for Windows? Which version of Windows? Windows RT only runs on three supported ARM devices. Two of them are the wanna-be-apple Microsoft brand. Going the other way cross-assembling and compiling to the native pi you might be able to run very early versions of Windows faster than the very old computers that would have run Windows version 1 -- but why bother? I run contain later versions of Windows within a virtual machine (VM) like Oracle Virtual Box and other virtual machines. The VM is running on Linux or Mac OS X on Intel/AMD with multiple CPUs, lots of RAM, high clock rates, and noisy fans. The other way is to run wine on Mac OS X or Linux which can work for firing up the odd .EXE program. DOSBox and other emulators are good too. But, as the previous poster commented, none of these would work very well or at all on the pi. 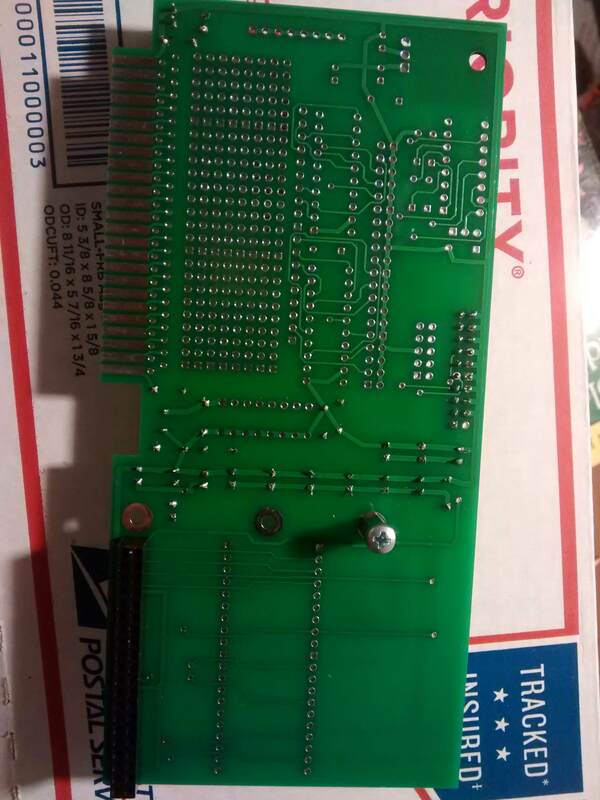 It looks like one must solder on their own 6551 and 7404 chips to complete the card? There is also the Rock64, kind of a Pi on steroids. 4 Gb RAM, quad-core A53 ARM cpu, eMMC slot. Runs Android or Debian (special distros, at least until the video drivers go mainstream). I have one on the way to experiment with. It uses a different video chipset than the Pi, and the drivers are still in development, so it requires bleeding edge OS images. It does have the same 40-pin GPIO header, though, so I assume that it will interface with the A2pi cards properly (though may require a ribbon cable instead of direct mount). It's also more of a power hog, so I am dubious of powering it from the Apple 2 bus. I'm going to cut the 5v wires in the ribbon cable, power it via USB at first, then graft in its own 5v supply if it works out. I'm unclear on how this works. Are you just using the Apple II as a terminal, with this card? From what I can see (of his video) he's using the Apple ][e as a power supply only, but he leaves room on the board to add a 6551 and other components. By appearance, the board has all the handshaking signals clearly marked. Don't really know much more about it at this time. I ordered a couple. It looked like they'd be easier to build my A2pi contraption on than plain ol' protoboard, and cost less than getting a real board made one-off. I'll post details and high rez photos when they arrive. I want to know what all those capacitors down the middle are for. Very peculiar. My first thought was that the capacitors were for a power regulator to convert 12V to 5V for the Pi, since it draws a lot of juice and the 5V supply is usually more constrained on an Apple II than the 12V supplies, particularly these days when people aren't running as many peripherals that use 12V like floppy drives. But the number of capacitors is way beyond what would be needed for that, which is no more than 2 or 3. 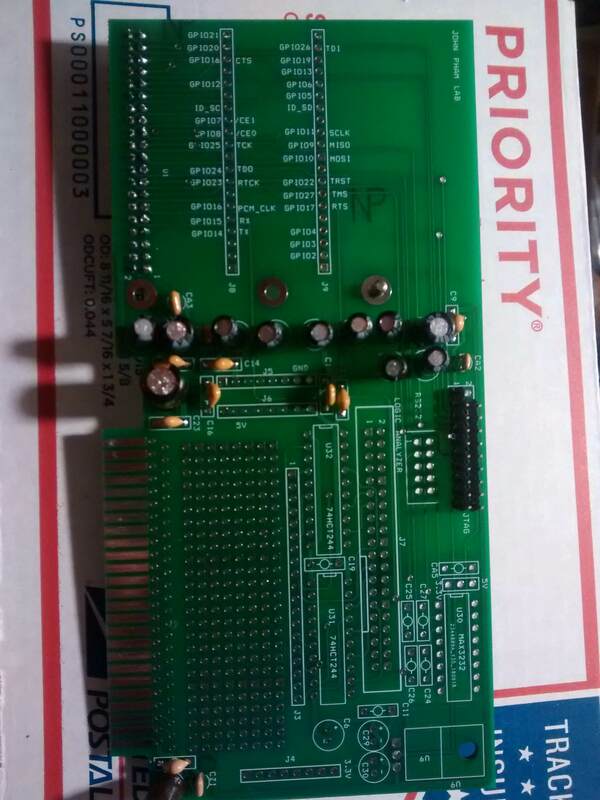 Anyway, I don't see much reason to pay $25 for one of these cards vs. $7-$12 for a normal proto board. Edit: Well that's weird. The images aren't showing up in the post. I've deleted the post and banned the spammer. Up to (but not including) the last post made by Lee Adamson. The JohnMBryany Post above is Spam. Thank you. Why is it that certain topics seem to attract these scammers?